New Delhi: India’s Minister of State for Human Resource Development responsible for Higher Education and Minister of State in the Ministry of Water Resources, River Development & Ganga Rejuvenation, Government of India Satya Pal Singh congratulated Dr. Sandeep Marwah on his being nominated as Chancellor of AAFT University of Media And Arts. 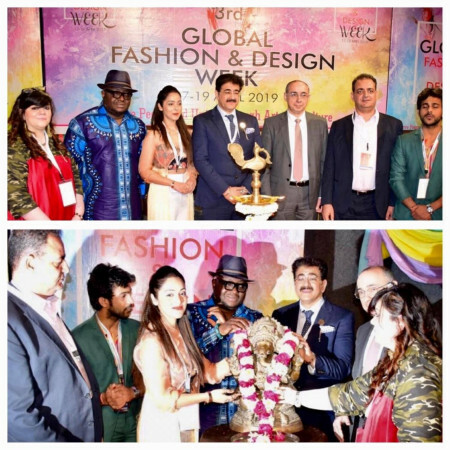 Sandeep Marwah has been honored four times honorary Doctorate, has been five times World Record Holder, recipient of largest number of International awards and has been representative of India on number of occasions abroad. He has been chairing more than 100 voluntary organizations. Founder of Noida Film City, Marwah Studios and Asian Academy of Film And Television he is also the President of International Chamber of Media And Entertainment Industry. “I am blessed by the Minister and that has added a new blood to work hard and to bring Indian Education to World Level. 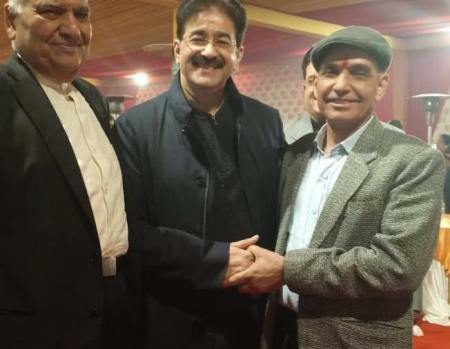 We are no less when it comes to film and media education,” said Dr. Sandeep Marwah thanking the Minister.